New images have been released showcasing Liverpool’s newest four-star hotel – Seel Street Hotel by EPIC – which is set to open to the public in early December. Work on the new 128-room hotel, developed by Elliot Group as part of its wider transformation of Wolstenholme Square, is nearing completion. Today’s exclusive visuals throw the spotlight on the property’s flagship suite which include external space providing city views and are set to raise the bar in the city’s expanding hotel sector. Additional images of the hotel’s other suites revealed today show rooms with outside terraces and skyline vistas. The £20m property will also include a residents’ bar and gym. EPIC have been setting the standard in the apart-hotel sector over a number of years, with successful properties already on Liverpool’s Duke Street, Seel Street and Campbell Street. The luxury hotel brand has won a number of awards for its exemplary customer service and stylish accommodations. EPIC is one of Liverpool’s best independent hotel groups with properties as distinctive as the neighbourhoods they are located in. 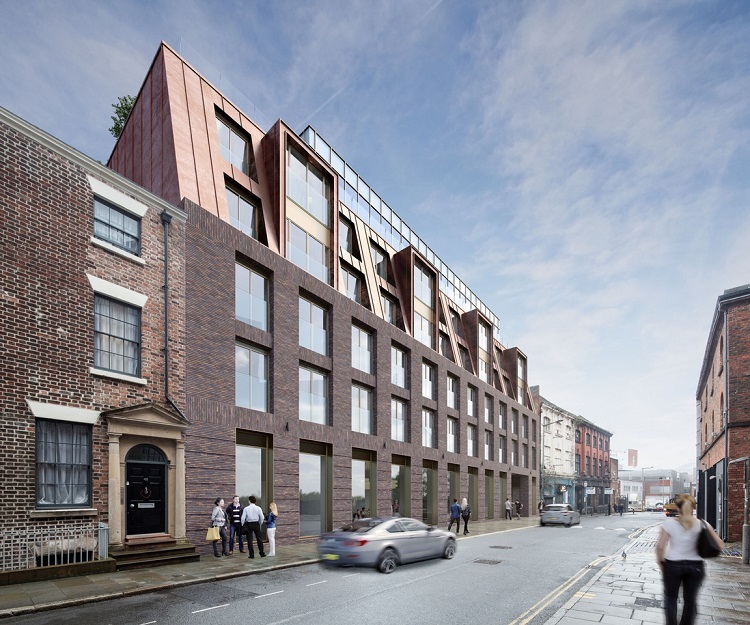 Seel Street Hotel by EPIC is part of Elliot Group’s wider £85m transformation of Wolstenholme Square and will bring a dynamic character to the guest experience that matches its vibrant, urban setting.